Summa Health has brought on a physician experienced in building emergency medicine residencies to restart the health system's program and lead its emergency medicine department. Dr. David Seaberg, an employee of US Acute Care Solutions, has been named chair of Summa's emergency medicine department, bringing 30 years of experience in emergency medicine. US Acute Care Solutions has staffed Summa's EDs since the start of this year after negotiations with Summa Emergency Associates—the independent group that had for decades staffed Summa's EDs—broke down in the final days of 2016. "Since joining the organization, it has become clear the care we provide is as good as anywhere I have been," Seaberg said in a statement. "I look forward to getting to better know the community and to helping bring back the successful residency program we are accustomed to at Summa Health." In this role, which he started Aug. 1, Seaberg will oversee the strategic direction for all clinical and nonclinical aspects of Summa's emergency medicine program, including new initiatives in the patient treatment and patient experience programs. He'll also lead the effort to restart the system's emergency residency program, which the Accreditation Council on Graduate Medical Education (ACGME) withdrew accreditation from in February. ACGME also put Summa Health, as the sponsoring institution, on probation and is scheduled to release a report on the probation in October. If probation is lifted, which Seaberg said he expects will happen, the system can begin to rebuild its emergency medicine residency program with a plan for it to be back in place July 2019. "This is a program that was very well regarded, a well-respected program that frankly fell on some hard times," Seaberg said in an interview with Crain's. "This is such a solid institution, had a great program, is a very good hospital with outstanding medical staff." 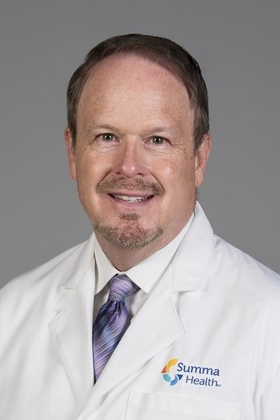 Seaberg, who replaces interim chair Dr. David Custodio, most recently worked at the University of Tennessee as chair of the emergency medicine department, the inaugural dean of the College of Medicine and a professor in the departments of emergency medicine and surgery. Custodio is president of the Summa Health System-Akron Campus. Seaberg has been involved in starting five emergency medicine residency programs, including MetroHealth's, as well as those at University of Tennessee, University of Florida and MetroHealth Medical Center. "Because of the negative publicity that happened in January, I think there's a little more sensitivity maybe from the ACGME and the institution to make sure that we do this correctly," Seaberg said. "I think there will be perhaps maybe a few more challenges just in hiring core faculty. But again, I think this presents such a tremendous opportunity for someone to help restart and develop an outstanding program and then make that a national model." Re-establishing the residency is one of his two "wildly important" goals. He also aims to re-establish and enhance Summa's emergency medicine reputation, which took a hit in January after contract negotiations soured with the physician group that had staffed the emergency departments.
? Hire a stable, committed faculty that lives in the Akron area. Summa has already hired eight, but Seaberg estimates needing another 15 to 20 physicians. Right now, the department is still staffed in part by US Acute Care Solutions physicians commuting from across the country. Of note, Seaberg and his wife have already relocated to the Akron area.
? Improve patient care metrics, such as length of stay, leaving without treatment and patient satisfaction. For example, Summa has launched a triage program that has, in Seaberg's six weeks at the job, decreased the "left without treatment" metric from 4.6% to between zero and 0.5%. He said they're also working with ancillary services, laboratory, radiology and consultants to speed up care and reduce the length of stay in the emergency department.
? Improve community engagement. Seaberg is working to meet and connect with the medical staff. The newly hired EMS medical director Doug Gallow has already been re-establishing links with the EMS community. They're working to meet with other care organizations and networks, as well as community organizations. "It's just remarkable frankly that US Acute Care Solutions was able to hold this emergency department together, although yes the residency was lost," Seaberg said. "Now we need to advance it." Before joining Summa, Seaberg held multiple positions at the University of Florida, including associate chair of the emergency medicine department and professor of emergency medicine in the College of Medicine. He also has experience working at MetroHealth Medical Center, Case Western Reserve University School of Medicine, the University of Pittsburgh and Erlanger Health System, according to the release. Seaberg is a fellow and past president (2011-12) of the American College of Emergency Physicians, diplomate of the American Board of Emergency Medicine and fellow of the American College of Healthcare Executives. He received his Bachelor of Arts from Washington University in St. Louis and his medical degree from the University of Minnesota School of Medicine. He completed his residency at the University of Pittsburgh, according to the release. "Summa appoints chair of Department of Emergency Medicine" originally appeared in Crain's Cleveland Business.